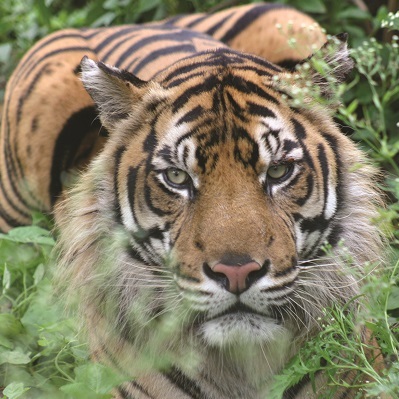 Since 2002, Born Free has managed a sanctuary for rescued tigers in Bannerghatta National Park in southern India. 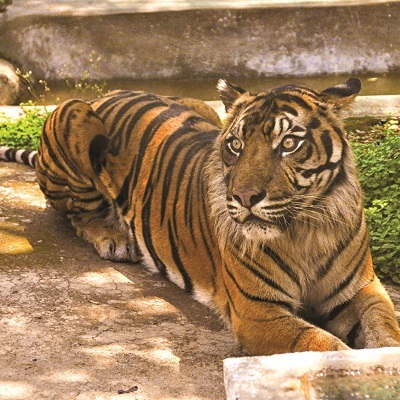 At Bannerghatta, with the assistance of Born Free’s Indian partner, Wildlife SOS, Born Free is giving rescued tigers space, peace and privacy in a section of the park closed to visitors.The enclosures or 'kraals' offer each tiger a hectare of natural forest habitat and access to water, in which they typically love to relax. 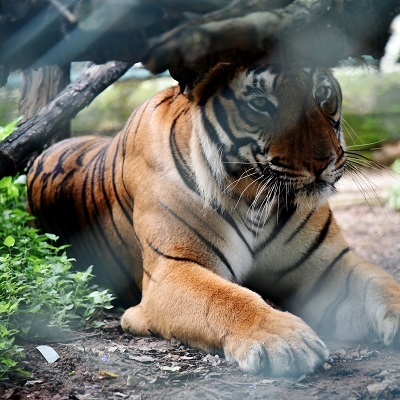 Tragically, the conditions and events the tigers have suffered pre-rescue have left them unsuitable for release into the wild, but at Bannerghatta they receive the care and respect they deserve.